If you don’t like zucchini, well, I’m not sure we can be friends. 😉 In all seriousness, zucchini is one of the most versatile vegetables available. It’s also low in calories, surprisingly packed full of vitamins, and a prolific producer in just about any North American garden. This recipe uses grated zucchini. Feel free to use grated patty pan squash, yellow crookneck squash, or any other “zucchini-like” summer squash. PS – You can grate your extra zucchini now and freeze it in 1 1/2 cup quantities (just measure it into zip-lock freezer bags) to bake this recipe later, if your hammock is calling you out into the sunshine! 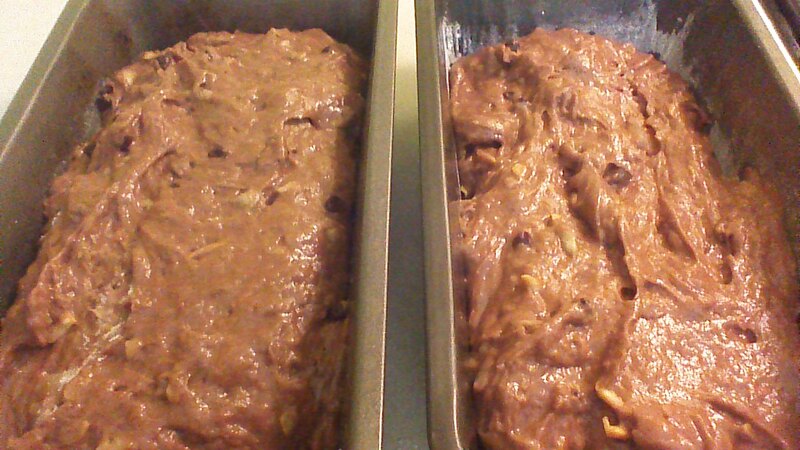 Step 1) Grease and flour two bread pans. Step 2) Combine grated zucchini, almond extract, applesauce, oil, and eggs. Stir until well combined. 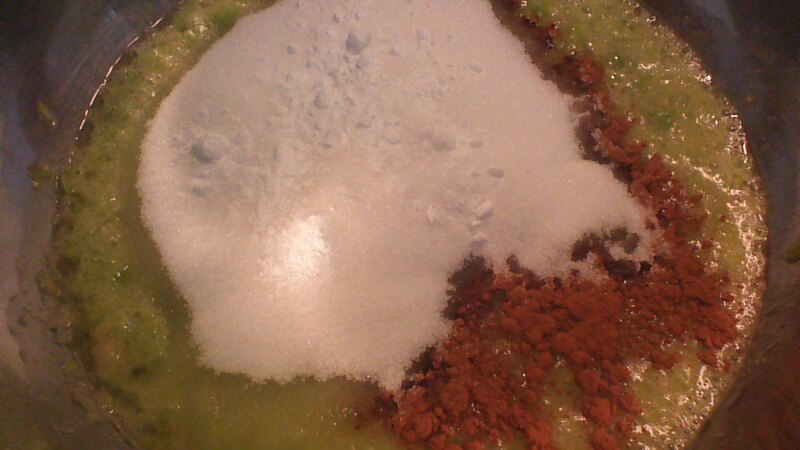 Step 3) Add sugar and pudding mix; stir well. Step 4) Add dry ingredients, a little at a time, until well incorporated. Fold in the mini chocolate chips last. Step 5) Divide batter between two bread pans. Bake in a preheated 350 degree oven for 50 minutes to 1 hour. Bread is done when a toothpick inserted near the center comes out clean. Like just about any zucchini bread, this bread freezes well! 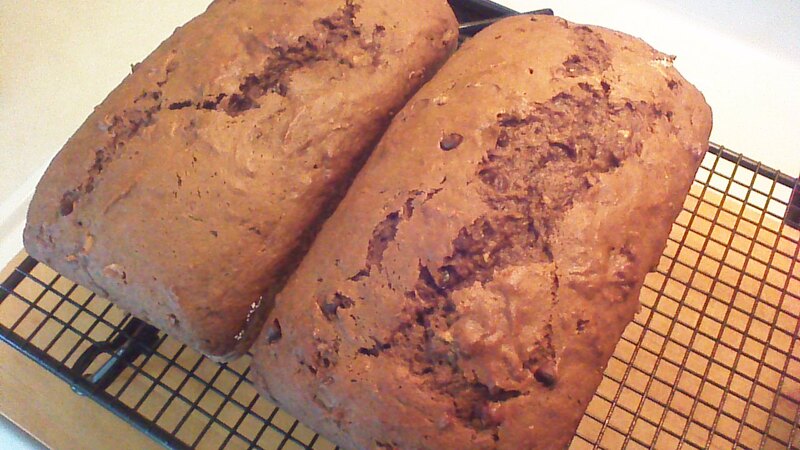 This entry was posted in baking and tagged baking, Chocolate, Cooking, Food, Gardening, Homesteading, Recipes, zucchini. Bookmark the permalink.